*I was provided a rug of my choice in exchange for an honest review. All opinions and photos are mine. 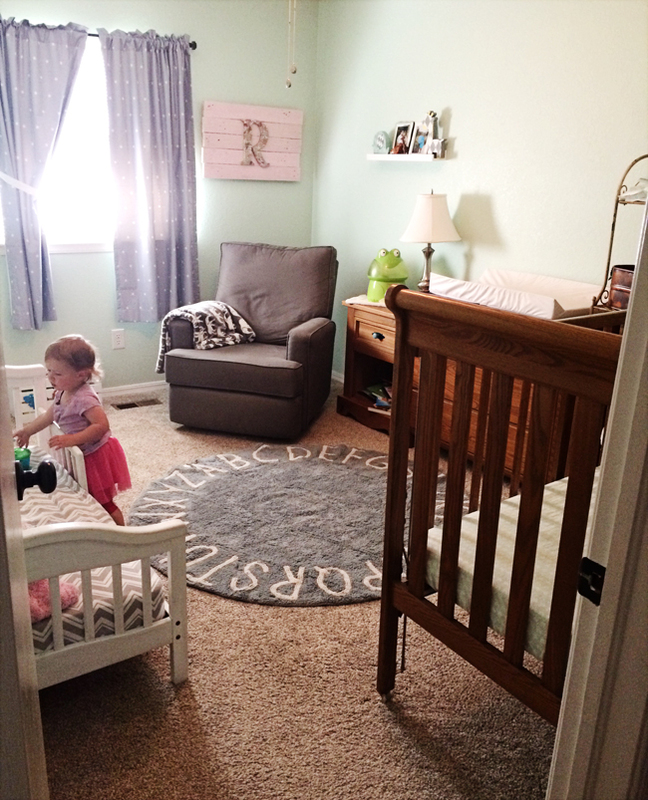 When we originally decorated R's nursery two years ago, I wanted to buy a rug but could never find one I liked. 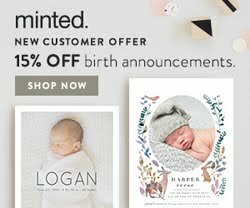 Plus I knew that any rug I bought for the nursery would most likely end up getting dirty, and a lot of the rugs I looked at seemed hard to clean or just didn't add much to the space, so I didn't want to waste my money. 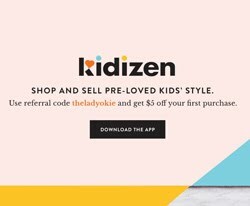 It was hard to decide which rug I liked the best because all the designs are unique and fun. These aren't rugs you see anywhere else! I couldn't get away from the idea of a round rug, and I ended up going with the Round ABC in Vintage Blue. I also loved this world map rug and this Azteca print! This puffy cloud rug is really fun too. It has a built-in pillow, how cool is that? 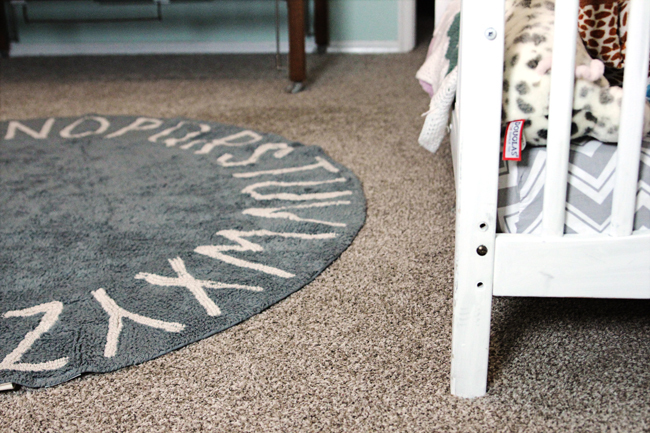 ^^^ A note: The color of this rug is more of a muted gray-blue than a true blue, which is perfect for our nursery space and I'm very pleased, but I just wanted to point that out. Obviously these rugs are not cheap, but for a fun splurge, I honestly couldn't be happier with my rug from Lorena Canals. When it came in the mail, it had some wrinkles, and the instructions said to pop it in the dryer for 10 minutes or so to get them out. 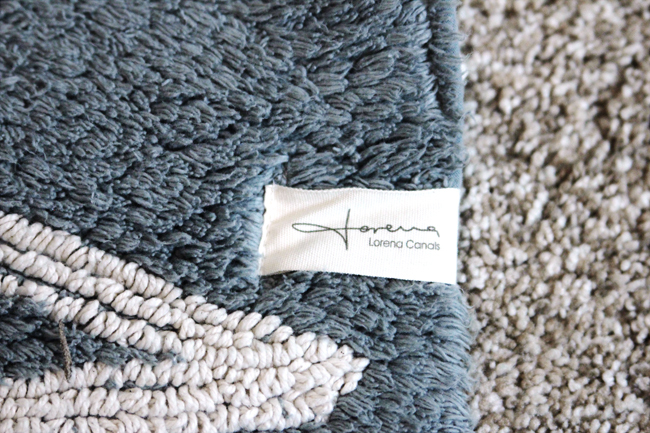 I love that Lorena Canals Rugs are made with non-toxic dyes, an ethical production process, and can be tossed into my washing machine when it's dirty! It's suuuuper soft and just what I was looking for to complete this space. 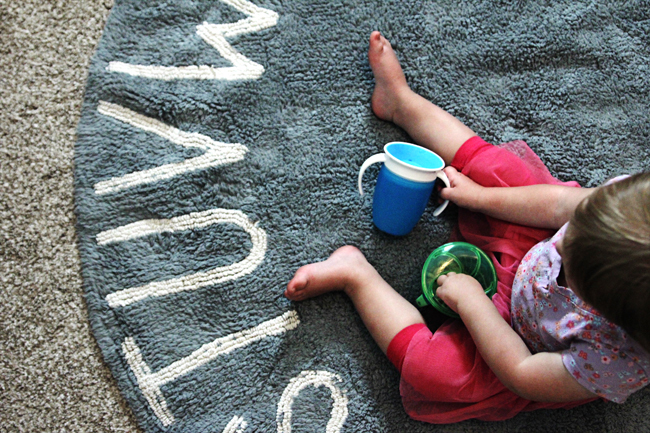 Also a bonus is that R can practice her letters while we're hanging out in her room on our new rug! Win win for all. I wanted to put a rug in Bowen's room but didn't know if a rug over carpet would work. Does is move around as you walk on it? This rug is so cute! Being machine washable is even better. Super cute! The world map one would be perfect for Ava's room (travel/adventure theme) and the Azteca one would work with what we have in mind for baby boy's room (safari-ish with lots of grey and yellow). Oh my gosh, these rugs are adorable!! Too sweet that you were able to pick one out! I love your choice! I think alphabet things are just so, so cute in kid spaces. That rug is amazing! 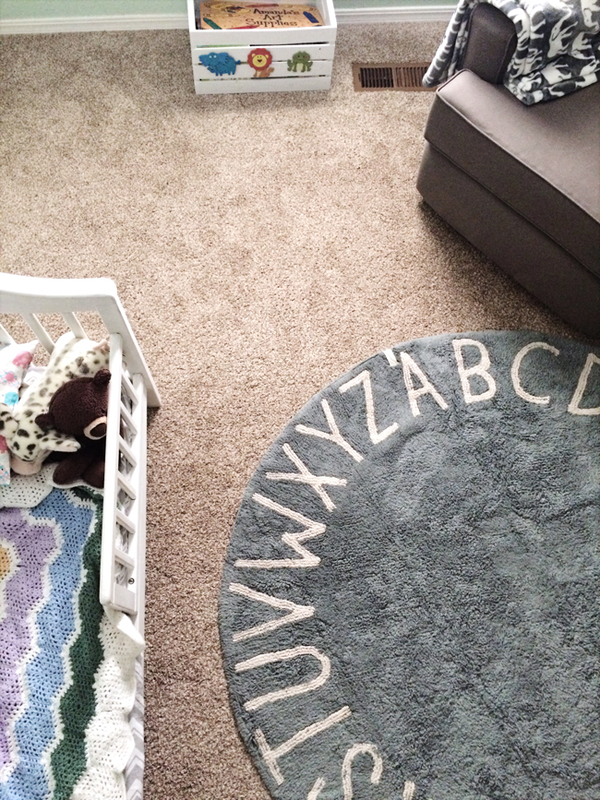 Okay, I'll admit, I'm kind of crazy about anything educational and a rug with ABCs on it?? Too cool. I would love the world map one, too. Little kids can learn geography too! I am loving that rug!!!! I'm definitely going to look into it. That is the cutest rug! When Jack was first born, I bought a rug for his area that was NOT machine washable...I laugh at myself now. It's so cute!!! I love that it's washable. I guess now I have something else to add to the list of things I want to buy. Oh to have all the money! I have the hardest time rug shopping. I can never find what I envision in my head. 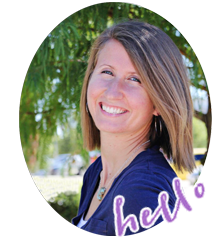 If I like the color of a rug, then I don't like the texture, etc. There are some pretty cute designs in this collection, though, I have to say! Oh my goodness I absolutely love this! Machine washable is such a plus! I highly dislike "spot cleaning" rugs! Definitely book marking for later!